Do you own a Facebook Business page? If yes, then you will notice a drop in the number of "likes" on your Facebook Page by next week, which could be quite disappointing but, Facebook believes, will help business to know their actual followers. The social network giant is giving its Pages a little spring cleaning, purging them of memorialized and voluntarily deactivated inactive Facebook accounts in an attempt to make its users data more meaningful for businesses and brands. Facebook purge will begin from March 12, Facebook said, and should continue over the next few weeks. "Over the coming weeks, Page admins should expect to see a small dip in their number of Page likes as a result of this update," Facebook said in a blog post. 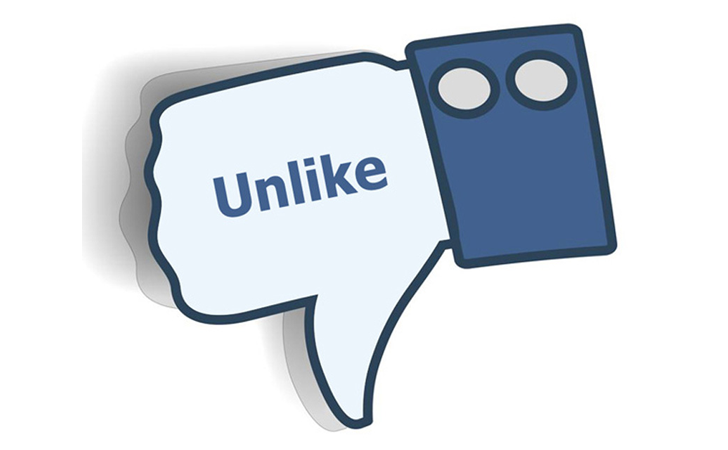 "It’s important to remember, though, that these removed likes represent people who were already inactive on Facebook." Facebook is also taking steps to improve how it detects fake profiles. We all know that a number of Businesses and Brands buy fake Facebook Likes and Twitter followers in order to show their brand popularity. Social Media giants, Facebook, Twitter and Google, have emerged as major players in recent general elections in India, where political parties spend millions of dollar to buy number of Followers and advertize their promo campaigns to impact Election results. With more accurate "like" counts, businesses and brands could better understand how much followers are actually interested in their contents and products. Facebook wants to give businesses “up-to-date insights” on their pages’ active followers. The move will give businesses more precise information about those Facebook users who are actively following their Facebook Page and make better use of Facebook’s Custom Audiences tool, which lets businesses create followers — aka lookalike audiences — by finding people on Facebook who are similar to those who already follow the company’s page. The company also wants to make business results consistent with individual users’ experiences. Facebook already filters out "likes and comments generated by deactivated or memorialized accounts from individual Page posts." While, the decrease in number of followers may disappoint you at the very first time, but at the same time it will help you gain a more accurate way to track your customers and grow your followers with authentic number of likes, which will be more beneficial to your business. "Everyone benefits from meaningful information on Facebook. It’s our hope that this update makes Pages even more valuable for businesses," Facebook said.